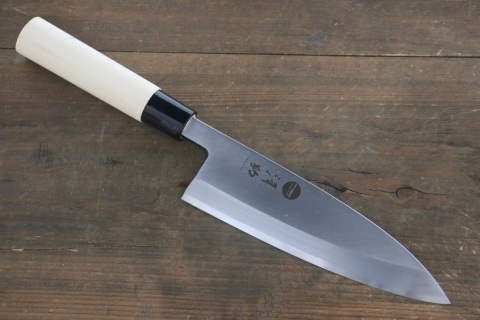 A premium good sized Deba suited to take the place of a Chef / Santoku. 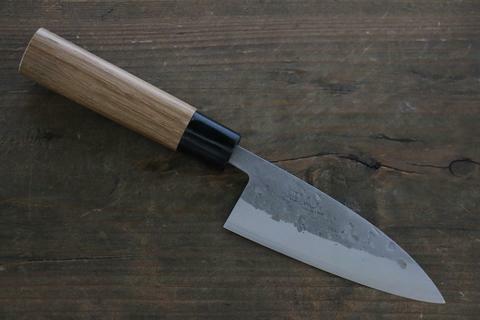 Traditionally used for boning/filleting fish but no problem with 'heavier' kitchen tasks or chopping. The Deba is a sturdy knife traditionally used for boning/filleting fish but equally suited to using as a Chef / Santoku knife for chopping and veg prep. 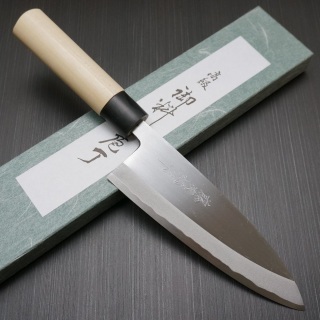 This Mini Deba is the perfect size for more intricate tasks, reassuringly weighty and stunning. A light, small and very versatile ' Mini Deba ' perfect for more intricate tasks or chopping herbs / vegetables. 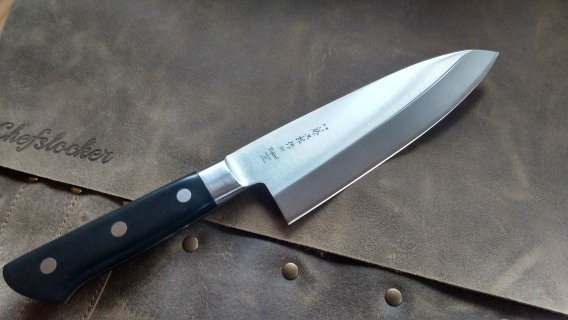 The only knife of this style that we stock. 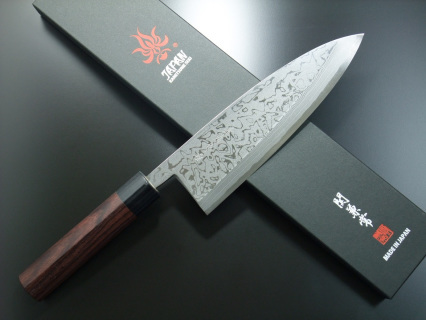 An absolute beast of a Deba, like nothing I have seen before. 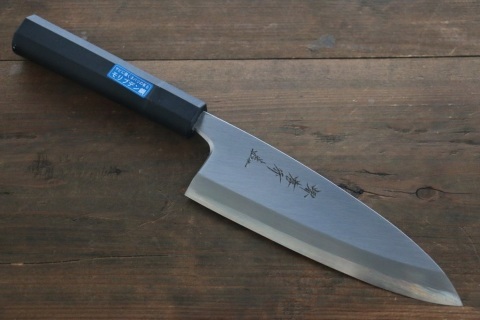 Weighing a whopping 380g there is no doubting the power of this knife. 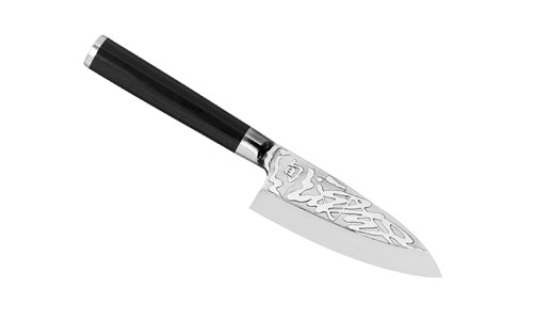 Will comfortably cut bone with ease. The kitchen knives of the Kai Shun Pro Sho-series have a blade made of VG10-steel which is hardened until an extremely high value of 61 HRC. Combined with the special way of sharpening in which one side is sharpened and the other side is made hollow, these knives are a pleasure to work with. 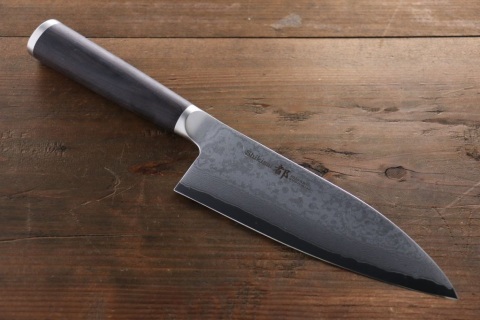 They are truly razor sharp. 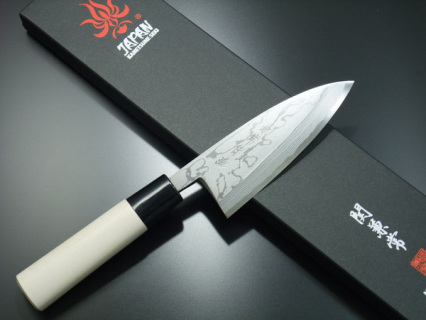 Ergonomically speaking they have the well-known level of Kai Shun. The asymmetrical handles of laminated black pakka wood fit the hand perfectly. ​Deba means pointed in Japanese and the knife is traditionally used for beheading and filleting larger fish although this is an extremely versatile knife suitable for filleting or chopping in much the the same way as a Santoku.